Have business in the greater metropolitan areas of Sydney? Can’t find a place to stay that’s within your company’s budget? Well, your search stops here. apartmentsplus has opened up corporate accommodations in Sydney, Lower North Shore, Inner West, and Sydney’s CBD. Forget about scrambling from hotel to hotel to find a vacancy before your next big meeting. Corporate renting is what we have specialised in since opening our doors in 2002, offering short-term, fully furnished properties that cater to all of your company needs. From high-speed internet and Wi-Fi enabled in the majority of our apartments, to the flexibility of booking an apartment without the hassle of a fixed lease, working out of a suitcase just got a whole lot easier. What benefits are there to renting with apartmentsplus as far as corporate accommodations in Sydney? That’s a great question with an even better answer. Depending on where you will be staying, we have a variety of amenities designed to make your stay as stress-free as possible. All of our apartments are fully furnished and almost double the square footage of your average hotel room. Each property is abundantly equipped with bathrooms and toiletries, kitchens with all of the necessary utilities, furniture, electronics, and fresh linen. While you may be travelling for business, our corporate accommodations in Lower North Shore, Sydney, Inner West, or Sydney CBD are designed to feel like home. If you need a ride from the airport, we got you covered. Need some groceries to be ready by the time you arrive? Just call us ahead of time and we can schedule that to be ready as soon as you get in. With our extensive knowledge of corporate needs and locale right in the heart of the city, everything you could want or need is right within walking distance. We have apartments located in the bay area that overlook the water, and several different kinds of restaurants, diners, and cafes when you need to replenish your energy during your lunch hour. There are shopping centres and tourist attractions all over so in case you find yourself bored after being in the office all day, you can let loose and indulge in the nightlife activities both within the city limits and on the beach. With Sydney’s Opera House, the Aquarium, and the Metro Theatre are all options to kick back and relax after a hectic work day. Or, if you prefer to spend the evening somewhere quiet, most of our apartments are furnished with televisions and DVD players, so you can sit back and watch a movie and enjoy the gorgeous view of the city from one of our apartments. You’ve been working hard and deserve only the best. At apartmentsplus, we aim to deliver just that. 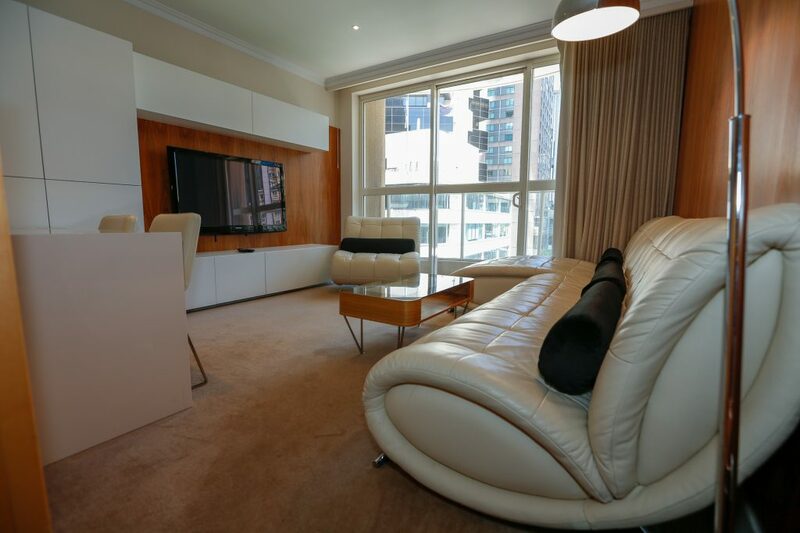 If you are interested in learning about what living conditions we offer for business travellers that are on a self-catering basis, you can find more information at our website: http://www.apartmentsplus.com.au/. Finding home is only a click away!